Has there ever been such a meta movie title — or a more glittering lead cast — as this? As reported by Variety, Quentin Tarantino has cast Brad Pitt in his forthcoming film, which has now received an official title: Once Upon a Time in Hollywood. Tarantino, who writes and directs the movie, described it as "a story that takes place in Los Angeles in 1969, at the height of hippy Hollywood." When word of the project first got out, the belief was that it would be about the infamous cult leader and serial killer Charles Manson, and the slayings of Sharon Tate and four others at the hands of his crazed followers. The filmmaker has since clarified that it's more about the year itself and less so the man with whom most associate it. Tarantino's ninth film to date, Once Upon a Time in Hollywood stars the previously confirmed Leonardo DiCaprio as Rick Dalton, an out-of-work actor "who had his own Western show, Bounty Law, that ran on the air from 1958 to 1963." DiCaprio's Rick took a stab at transitioning to movies, which didn't pan out, and in 1969, he's seen "guesting on other people's shows while contemplating going to Italy, which has become a hotbed for low-budget Westerns." Pitt will star opposite DiCaprio as Rick's "longtime stunt double" Cliff Booth. While both are "struggling to make it in a Hollywood they don't recognize anymore," Rick learns that he has a leg-up on the city of stars as a whole: His next-door neighbor is Sharon Tate. Tarantino has reportedly asked I, Tonya actress Margot Robbie to portray Tate, but she hasn't yet agreed, as far as any outlets are aware. If she does end up joining the cast, Robbie will reunite with her Wolf of Wall Street co-star DiCaprio. 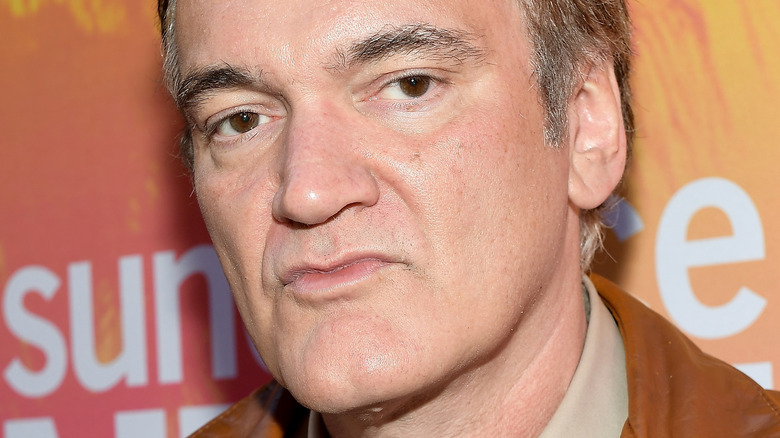 "I've been working on this script for five years, as well as living in Los Angeles County most of my life, including in 1969, when I was 7 years old," said Tarantino in a statement. "I'm very excited to tell this story of an L.A. and a Hollywood that don't exist anymore. And I couldn't be happier about the dynamic teaming of DiCaprio and Pitt as Rick and Cliff." Once Upon a Time in Hollywood is scheduled to debut on August 9, 2019 — the 50th anniversary of the Manson Family LaBianca murders.